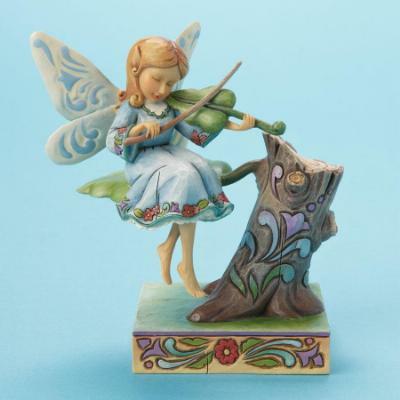 Jim Shore Harmony Fairy Musician Fairy 4014983. Introduction: 2009. Figurine. Iron, Stone Resin. 4.25" H x 2.25" W x 4.25" L.